You know it when you feel it and you hear about it on the news or social media. You recognize and see it in others. When I am doing things that nurture my spark, I am motivated to learn and focused on tackling new challenges. I feel a burst of energy – the best kind of quad shot latte. At the end of the day, I feel fulfilled because my spark paves the way for me to make a meaningful difference. My spark has always been animals. It has what drove me to study animal science and carve out a unique career journey. Sparks gives you a sense of direction and purpose. They are more than just passions because sparks give you intrinsic fuel to learn new skills, set goals and follow through with actions, and make a difference in your community. Having access to opportunities that explore and nurture sparks is critical for young people to grow and thrive. A young person can grow and thrive when they experience supportive, dynamic, and mutual interactions with people in their life. School, home, neighborhoods, and after school programs are contexts where young people can experience opportunities to build skills, experience new challenges, and learn how they can make a difference in their community. 4-H is a youth development organization that helps young people explore their sparks and build skills with the support of caring adults. In Oregon, 4-H Educators use the 4-H Thriving Model to plan and deliver programs. The 4-H Thriving Model predicts that young people are more likely to attain well-being, economic stability, academic success, and civic engagement developmental outcomes in adulthood when they thrive during childhood and adolescence. The epicenter and critical element of the 4-H Thriving Model is to engage youth in learning opportunities that nurture sparks. Tall order. You know, the whole making a lasting impact on a young person and giving them a safe and welcoming place where they can grow and thrive to confident and caring adults. But my spark for animals drives me to connect to young people in authentic ways and that’s why I joined Oregon State University 4-H Youth Development a year and half ago. I met Jazzy in September 2017 at the first 4-H event I planned and taught to local Oregon youth. The 4-H Pet Ambassador workshop shows young people different ways they can interact with their pet in hopes to build a stronger human animal bond. I taught Jazzy at the workshop how to make dog and cat toys out of recycled material. This idea ignited her spark for animals and helping pets have happy and healthy lives. Last month Jazzy was named the top Oregon Youth Volunteer in 2019. She earned the national Prudential Spirit of Community award. She dedicated over 75 hours teaching pet owners how to keep their pets active with making dog and cat toys. Jazzy collected over 1,000 used T-shirts and tennis balls by advertising on social media, collecting materials from her school, and approaching a local tennis center. Then she taught pet toy making sessions at community centers like schools, libraries, and pet stores. More importantly, she wanted her project to have a lasting impact on her community. Jazzy created a tutorial video and starter kits that people can borrow to make over 260 pet toys. Spending time with Jazzy, it is apparent that people in the contexts of her life have supported her every step of the way. Her family supports and encourages her to try new things, her principal and teachers at school were enthusiastic and proud of her achievements, and the 4-H staff team have engaged Jazzy in new learning opportunities since she joined 4-H several years ago. In 4-H, Jazzy also rides her horse, works with her cat Noodles in the 4-H PetPALS club, and shares her bond with her chicken at outreach events. You know a spark ignited into a burning flame when you see it. It is an honor to be one of the many people who have nurtured Jazzy’s spark. Arnold ME. From Context to Outcomes : A Thriving Model for 4-H Youth Development Programs. J Hum Sci Ext. 2018;6(1):141-160. Want to learn more about 4-H? Contact your local Extension office! Hi, my name is Kristen. I am a thirty-one year old Animal Scientist and retired mouse milker. As one of the few people in the world with this unique expertise, it serves as a great unforgettable one-liner when I meet new people. You are thinking about it, aren’t you? It takes a few seconds for people to process the thought of it – milking mice. Yes, it is exactly how you picture it. Yes, it is just like that joke from ‘Meet the Parents’ movie. Don’t worry, I will give you all the nitty gritty details in a future blog post. It is a cliffhanger of a story, packed with triumphs and failures for the main character, unanticipated plot twists, and a climatic conclusion. Science is story telling at its finest. Reading catchy headlines with provoking scientific claims or monotonous methods in journal articles can sometimes minimize all the story elements and lead to misleading information. 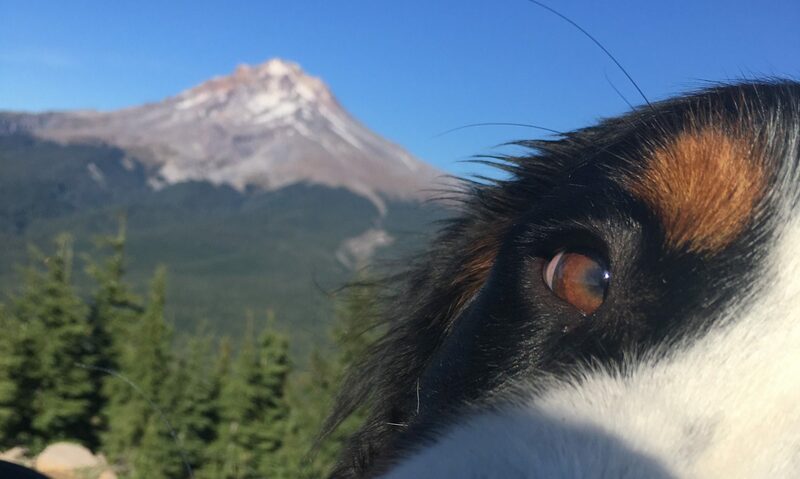 I’m here to tell you the fully story of how Animal Scientists in Oregon and around the world are asking questions to improve human and animal health. I thrive when I’m connecting with people through my stories. Ask any of my friends or family. They will probably describe me as outspoken, animated, and the center of attention. As a kid, I could not wait to get home from school and tell my parents in full detail what I learned, who told a funny joke, and what I ate for lunch. I still get regular frustrated phone calls from my dad. After struggling to find something to watch on Netflix with my mom, he gets an overwhelming sense of déjà vu ten minutes in because I had already described the movie in full detail. I would have never guessed that my life story as an Animal Scientist would have involved milking mice. But looking back, the question was the driving force – like why is a gene involved in milk secretion also playing a role in breast cancer – to motivate the main character to analyze components of mouse milk at a lab bench. Over my career, the other questions I asked involved studying pigs, fruit flies, mice, sheep, cows, and now pets. I helped people find their new furry best friend working at an animal shelter. I helped people chose a food and toy that best fit their pet’s needs at a local pet food retailer. I weighed fat fruit flies and watched where piglets nursed on a sow at a sustainable pig research farm. All of these experiences taught me something valuable. In this space, I will share my stories, interpret the latest animal science research, and delve deeper into questions that will help you and your pet live a long and healthy life together. See you here next week!